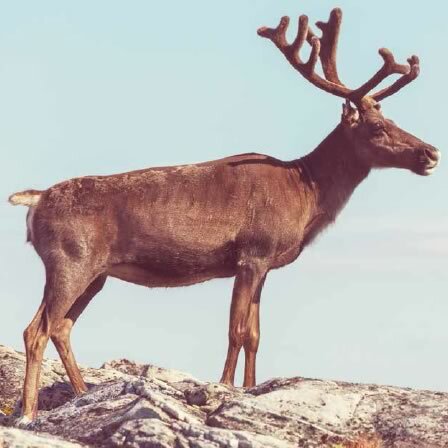 Best known for helping Santa Claus at Christmas, Reindeer, or Caribou as they are known in North America, herald from the arctic, subarctic, tundra and mountain regions of Europe, Siberia and North America. Both male and female reindeer grow antlers, which fall off each winter. The male antlers are second in size only to the Moose and can grow up to 135cm in length. Reindeer have been domesticated since the Bronze and Iron Ages and are used to ride on, pulling sleighs and ploughs and for their meat, which is very tender and lean.